Whether you’re vacationing on the Jersey Shore or in need of easy access to New York City or Philadelphia, our hub is one of the most versatile and hassle free airports in the country. Located approximately 10 minutes from the New Jersey Shore; 20 minutes from the world famous Asbury Park; 20 minutes from Six Flags Great Adventure and the PNC Bank Arts Center; and a mere 20 minute helicopter ride or just over an hour drive to NYC, Philadelphia or Atlantic City, Monmouth Executive Airport is a perfect central location for all major centers of commerce and entertainment on the east coast. We are also conveniently located only 25 minutes from Monmouth Park Race Track, home of the Haskell Invitational Annual Horse Race. Rental Cars Available. Enterprise on site. Avis and Hertz available to Gold Members. All Major Credit Cards Accepted, AvFuel reward points. Avfuel 100 ll & Jet A, available with or without prist. Self-Serve Avgas to save additional. 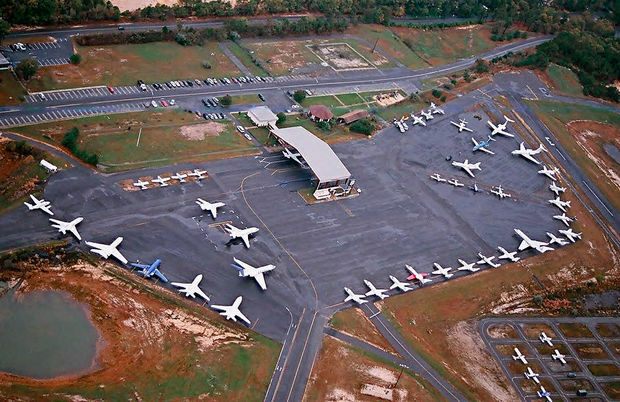 Monmouth Jet Center also provides a comfortable passenger waiting area & pilot rest area. Our difference is service and we can help you with the things other airports may not have the time or inclination to provide. And remember that our Airport is open 24/7. Please call us to discuss your flight plan or hangar availability.